Between the mountain Ben Rinnes and the river Spey at the hamlet of Carron, not far from Aberlour, lies the Dailuaine (pronounced: dale-you-an) distillery. It was built in 1852 by William Mackenzie. After William died, a banker from Aberlour, James Fleming, leased the distillery until 1879, when his son, Thomas, formed 'Mackenzie & Company' together with James Fleming. Dailuaine pioneered the 'pagoda' roof design, conceived by Charles Doig. Many distilleries, such as Aberlour and Ardbeg followed suit. Between 1884 and 1887 Dailuaine was rebuilt and expanded, becoming one of the largest distilleries in the Highlands at the time. Major alterations took place in 1960, with the addition of stills (six in total) and the replacement of floor maltings by a so-called 'Saladin Box'. The device (named after its inventor Charles Saladin) is a big, flat box which mechanically turns the germinating barley inside and allows air to pass through it. The Saladin was closed in 1983 when the distillery started to purchase its malt from one of the large 'industrial' maltings. Just like so many other distilleries in Scotland, Dailuaine was eventually absorbed by industry giant Diageo in 1998. Only 2% of the production is marketed as single malt (sold by Diageo in the Fauna & Flora collection or by independent bottlers), the remaining part is destined for blends like Johnnie Walker. Dailuaine single malt is a robust, full-bodied, rich, after-dinner malt. 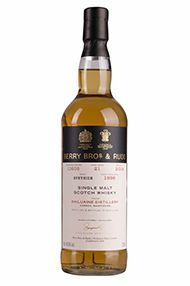 This whisky is rather unknown by the broader public, partly because it is extremely rare to find. 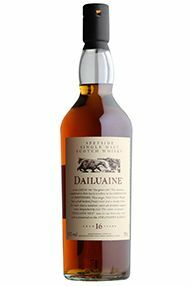 The Daliluaine single malt is however highly prized and stands up easily to other more famous Speyside single malts. 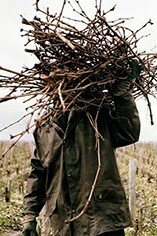 The nose is seductive with toffee and nutty hints. The palate is pure pleasure for long minutes, offering impressive richness and concentration, dominated by malty, chocolate and tangerine flavours with a touch of toasted oak.